Fahad Mustafa is electric, on and off-screen alike. He doesn’t have a filter on, which is what makes him all the more charming and earnest. The actor-turned-producer has been a part of the entertainment industry for over a decade now, but it was only his foray into movies with ‘Na Maloom Afraad’ in 2014 and the mega success of his game-show, ‘Jeeto Pakistan’ that made him a bonafide superstar. Today, he’s perhaps the busiest actor in the fraternity, producing one drama serial after the other, endorsing numerous brands and now, coming out with two films on the same date! Starring in the sequel to 2015’s blockbuster hit, ‘Jawani Phir Nahi Ani’ (JPNA 2) alongside Humayun Saeed, Mawra Hocane and Kubra Khan, Mustafa also expectedly takes the lead in Nabeel Qureshi and Fizza Ali Meerza’s next, ‘Load Wedding’ and the two movies are set to fight the box office battle this Eid-ul-Adha. In a tete-a-tete with Daily Times, Fahad Mustafa opened up about shooting the forthcoming features, stardom and more. Two of your films come out together, how have the promotions been? I think it’s a first for any actor to have two films coming out together. Making films isn’t as difficult as promoting them is and I don’t like it a lot as well, but then the kind of love that I receive from people (is overwhelming). I went to the Iqbal Stadium in Faisalabad the other day and it was filled with about 22-thousand people. It gives you a different kind of high altogether. I’d never thought in my life these many people would know me and yell my name out. And then they knew my films were coming out as well, so the industry has grown that big. You’ve also shot both, ‘JPNA 2’ and ‘Load Wedding’ simultaneously; tell us a little about how you managed to differentiate dispositions? Well, things aren’t happening at a time. But then, as an actor, it’s your job to get out of one character and get into the other. The best part was the fact that both the scripts were so very different, so when I’d be on one set, I’d be enjoying myself so much that I wouldn’t miss anything from the other set. If you look at it, even my body-shape is very different in both the films. ‘Load Wedding’ required me to gain weight like an average villager, but with ‘JPNA 2’, I’m very lean, like the current trend goes, which is very difficult. Nonetheless, all I cared for is that people don’t say they’re watching me in similar characters and not a single person has. Where do you think the energy comes from and what keeps you going? I think the hunger to do good work. What I see in actors these days is lack of hunger for the work, popularity and becoming famous is something different, but initially, if you’re not enjoying the process of your craft, you’re not doing anything. Same goes for Humayun, he and I were promoting ‘JPNA 2’ and even he was frustrated, because for us, our work is to play characters and enjoy that. The whole idea is not to be you. As far as energy is concerned, I’ve been very lucky, I can’t be thankless that I’ve gotten two films and I have a show of my own (laughs). I’m an exception; a rare case. I’m not a very good-looking man, I just work very hard and that’s what keeps me going. Tell us a little about which of your two films has you more excited? They’re both films of different genres; it’s a very, very good time for Pakistani cinema that we’re making all kinds of films. ‘Parwaaz Hai Junoon’ is such a different film compared to ‘Load Wedding’ and then there’s ‘JPNA 2’. ‘Load Wedding’ is a very simple story, it’s a very my-kind-of love, and it’s about real connection, which isn’t gadgety. Those real emotions lack in today’s world, so it’s a very real love-story, followed by an issue that is very relevant globally. But there are no lectures, it’s an out-and-out entertaining film and most importantly, I feel its music is the best of all Pakistani films. 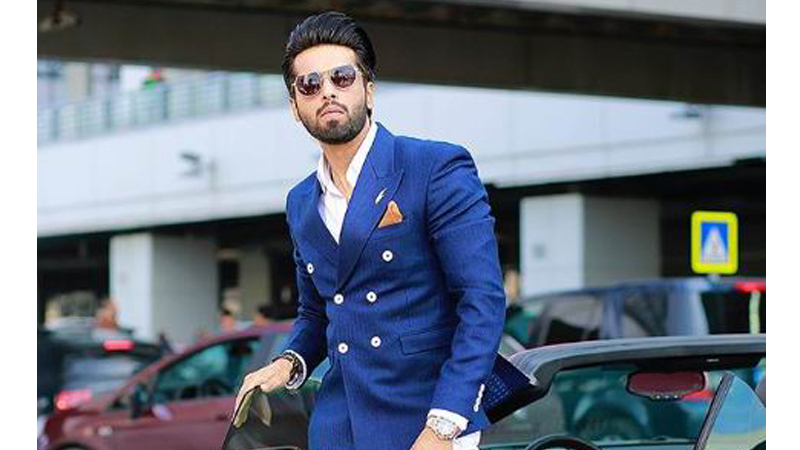 ‘JPNA 2’ is all-fun, I’d go on-set, have the best of time, crack jokes, and it’s an interesting story and its complete paisa-vasool. How my character has turned out, I feel it’s one of my best comic performances. And I love such films, but I personally prefer solo-leads, even ‘Na Maloom Afraad’, I’d spoken to Nabeel about this, because then the responsibility is completely on my shoulders. It will or won’t work because of me, whereas with ensemble casts, there are a number of people to be credited for that, so there’s nothing of your own. We (Nabeel, Fizza and I) discussed this yesterday only, on the road and we’re doing something together very soon. People have been asking them, ‘why Fahad Mustafa?’ And when we did the math, we’ve given three hit films and the only problem is that other people want to work with them (Nabeel and Fizza) as well (laughs). I, myself, asked Nabeel that he should work with somebody else, but he and I both know that we have this chemistry and I understand what he wants to create. I’d love to work with Nadeem (Baig) again as well, but if it’s a solo-film as for Nabeel and I, we’ll go on as long as we do.